'One aspirin a day' has a different outcome than one might expect. The costs of complications of these drugs are endless. Add the costs for kidney, liver, colon, and stomach damage, (N Engl J Med. 1999 Jun17;340(24):1888-99) headaches, "The development of chronic daily headaches is associated with long-term use of NSAIDs" (2003 Mayo Foundation for Medical Education and Research), and joint complications and you've got a real moneymaker for the pharmaceutical industry. Do less people really die from mistakes than when they do it correctly? Medical Treatment for these and other diseases. For the best natural advice, you may want to consider using a Doctor of Chiropractic as your new Primary Care Provider. Did you know that these doctors are one of the most highly educated type of physician AND are licensed to provide primary family health care in all 50 fifty states? Make your appointment today and start enjoying a completely natural path to Wellness. This meta-analysis and its predecessors form the major argument for the current widespread fashion of prescribing aspirin to such patients. (2) (3) It is an enormous body of research and the collaboration is to be congratulated for having gathered so much data. However, quality as well as quantity matters. And the quality is such that the results can only be inconclusive. The US Food and Drug Administration regularly send out citation letters to many drug companies for overstating the effects of their drugs in advertising. Tom Abrams, the chief watchdog at the Food and Drug Administration for deceptive advertising, says some ads stretch the truth with overstated claims of effectiveness and understated descriptions of side effects. ABC News aired this report on January 3, 2001. According to the report, every year, the FDA sends about 100 letters to drug companies demanding changes in television commercials, magazine ads and other promotional materials. Many companies are repeat offenders and continue to use deceptive advertising. Some examples include the allergy drug Claritin. According to the FDA the makers of this drug are repeat offenders. Since 1997, the manufacturers have been told 10 times to change their advertisements. Additionally, makers of two other allergy drugs, Flonase and Flovent have been cited 12 times for commercials the FDA claimed were misleading. Dr. Sharon Levine of RX Alliance says, "This is intentionally misleading, the drug companies are trying to suggest they can deliver more than they do." Amazingly, the ABC story noted that the FDA has never taken a company to court. They noted that most offenders simply change their advertisements and come up with another sales approach. People running the drug companies are aware of the fraudulent nature of their business. According to Allen Roses, Vice President of GlaxoSmithKline, one of the world's leading pharmaceutical companies, "Vast majority of drugs only work in 30 or 50% of people." When he says "work," I assume he is giving credit for even the slightest positive change and not talking about resolving the patients' illnesses  because essentially 100% of the drugs used to treat chronic diseases fail to cure the patient. Yet, used by pharmaceutical companies to promote their products might cause you to think otherwise. They refer to their drugs in ways that suggest their inventions commonly cure chronic diseases, by calling their products, "antihypertensive" and "anti-diabetic"  as if these chemicals would eradicate hypertension (high blood pressure) and diabetes  maybe something like antibiotics kill bacteria and cure infections. The truth is, no doctor has ever seen a patient cured of high blood pressure or diabetes with either class of medication, no matter how much they might wish it to be otherwise. By and large, drugs do little, if anything, to improve the well-being and/or longevity of people suffering with chronic diseases, but are undeniably a direct source of death, disability and suffering. Approximately 2 to 7 % of all hospital admissions are caused by medications prescribed to patients, and approximately 70% of these incidences are judged as preventable. Approximately 28% of all emergency department visits are a result of taking prescription drugs. The drugs most commonly implicated are: NSAIDs, anti-platelets, seizure medications, anti-diabetic drugs, anti-hypertensive (diuretics and beta-blockers), inhaled corticosteroids, and cardiac drugs. We look forward to helping you in the best way possible. You can be assured of receiving the most up-to-date health care treatment and information available anywhere today. The goal of every doctor should be to help make his or her patients drug-free by teaching him or her to become healthy. Unfortunately, most doctors know only drug-therapy for patients' problems and the result is fat and sick people carrying around bags full of prescriptions  and they are not one speck healthier or happier. (And you wonder why so many doctors complain about the practice of medicine these days. How would you feel if all of your projects ended in failure?) To make matters worse, well-intentioned doctors are making their prescription decisions based upon fraudulent and incomplete information paid for by pharmaceutical companies  blind to the suffering of their customers; these businesses manipulate the research studies in order to boost sales. This should not surprise you, after all, pharmaceutical companies are in the business of profiting from your sickness and, as a result of their efforts, they are considered among the most successful of all businesses worldwide. Drug companies spend billions of dollars and employ thousands of people to try to demonstrate the slightest benefits from their products. From the beginning, the "investigations" used to sell their products are designed so that the results will turn out favorable  why not? They are paying for the project. And if the results do not turn out as expected, then these companies bury any research findings that weigh negatively upon their products. The US government turns a blind eye. According to top researchers, we can no longer rely upon the Food and Drug Administration (FDA) for protection from useless and dangerous drugs, since this organization acts essentially as a tool for the pharmaceutical industries. All this dishonesty is very profitable; consumers spent $154.4 billion dollars in one year (2001) on medications that in many cases do more harm than good  and prescription drug spending rises 15% to 18% per year. All the while, hopeful patients are lulled into believing these miracle potions will save them. If the truth were to be known, more of these same ill people would take matters into their own hands and save themselves with a healthy diet, some exercise, and clean habits, rather than waiting to be saved by "technological breakthroughs." When was the last miracle drug invented? Penicillin discovered in 1928 by Alexander Fleming. It now causes antibiotic resistant infections. Relying on drugs from the outside hasn't worked yet. Chiropractors help you discover health from within, without drugs. A continued debate over whether or not aspirin, ibuprofen or other related pain relievers influence the risk of breast cancer has just moved closer to one side: According to a study, taking aspirin or ibuprofen may boost a woman's chance of succumbing to breast cancer. These findings merely stress concerns regarding the potential toxicities from long-term regular use of nonsteroidal anti-inflammatory drugs (NSAIDs). 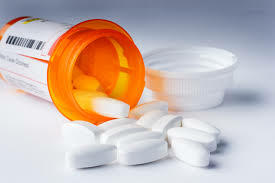 · Taking ibuprofen every day for at least five years increased a woman's chance of developing breast cancer by 50 percent, compared to women who did not regularly take the drug. Daily use of aspirin for five years or more caused a woman's risk of ER/PR-negative breast cancer (not sensitive to estrogen or progesterone) to spike by 80 percent, compared to non-regular aspirin users. Even though there are plenty of published studies showing the dangers of over-the-counter medications, many are still unaware of the basic facts. Medications such as aspirin may still seem harmless to most people, but you are one of the enlightened who knows better, and that they are dangerous and potentially deadly. Aside from increasing your chances of getting breast cancer, taking over-the-counter painkillers for six months or more can double your chances of dying from a stroke or heart attack. If you have some friends or relatives who you feel may not know this valuable information, then please forward this page to them by using the E-mail to a Friend link on the very top upper right section of this page (right below the search box). You can also include a short note with something specific for them as to why they might want to consider subscribing to the newsletter to improve their health. The best way to avoid drugs and still get relief from your pain is to utilize treatments that address the underlying cause of your symptoms. Obviously, pain can result from a number of different causes, but there are certain steps you can take that end up addressing many of these causes at the same time. · Start taking a high-quality fish or cod liver oil. Omega-3 fats, which are found in fish or cod liver oil, are precursors to mediators of inflammation called prostaglandins. In fact, that is how Vioxx and other anti-inflammatory painkillers work, they manipulate prostaglandins. Eliminate grains and sugars from your daily diet. Sugar and grain avoidance for most people will lower insulin levels. Elevated insulin levels are one of the most important reasons why inflammatory prostaglandins are produced. That is why stopping sugar and sweets is so important to controlling your pain and other types of chronic illnesses. · Optimize your intake of vitamin D by getting daily sun exposure. If sun exposure is hard to come by for one reason or another, cod liver oil is an excellent alternative source of vitamin D you can use in the meantime. It's also extremely important to have your vitamin D levels tested to know where your levels fall before you begin supplementation. · Retool your diet based on your body's unique metabolic type. Metabolic typing is a tool I have seen work in thousands of patients to reduce their pain. There are also some very effective natural alternatives to anti-inflammatory drugs that can help provide temporary relief for your pain while you are in the process of implementing the above strategies. · If you are a woman with monthly pain from menstrual cramps, two excellent herbal alternatives specific to that type of pain are Cramp Bark (Viburnum opulus) and Wild Yam (Dioscorea vilosa).